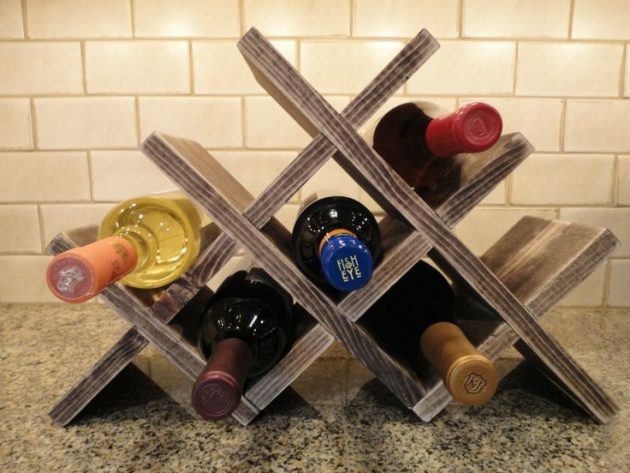 Shelves and racks for holding wine bottles, besides keeping your favorite drink, can be a very interesting home decoration. 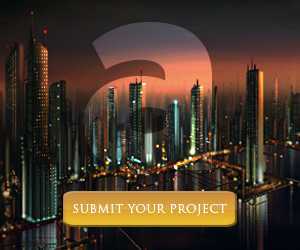 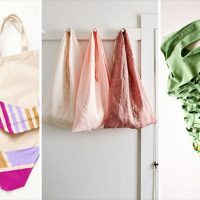 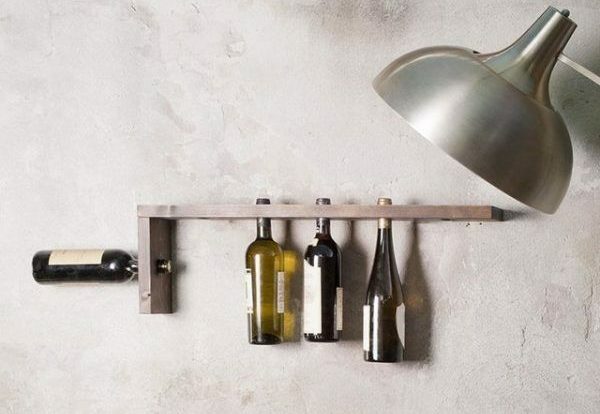 These elements of the interior can be an integral part of the living room, but also of the dining room or the kitchen. 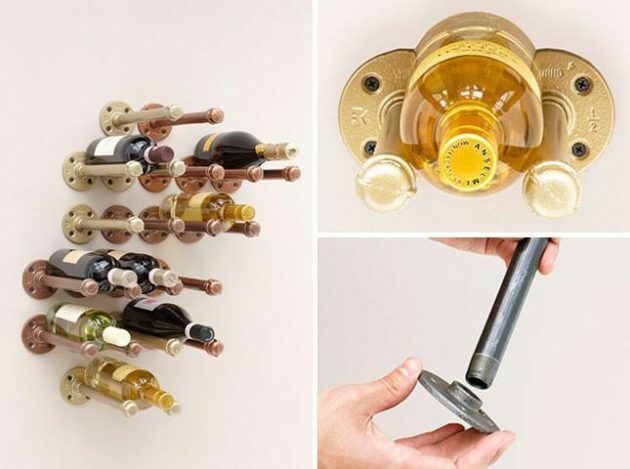 The most important functional characteristic of the wine rack is that the bottles should be in a relatively horizontal position, so that the cork closes are not dry and, as a result, they will not damage the wine. 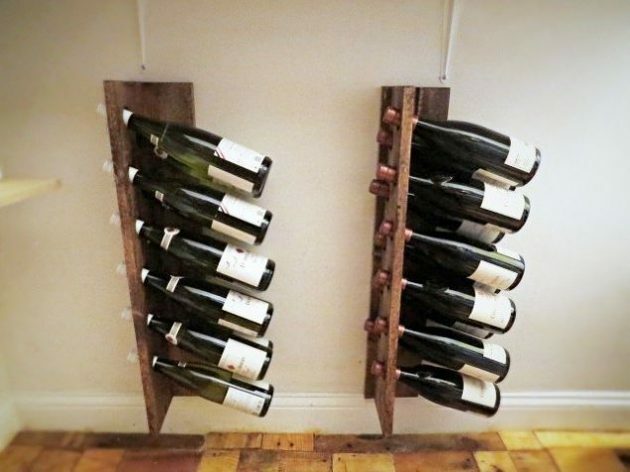 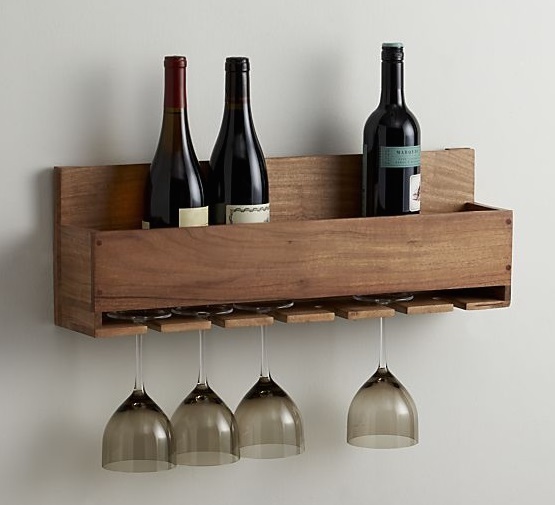 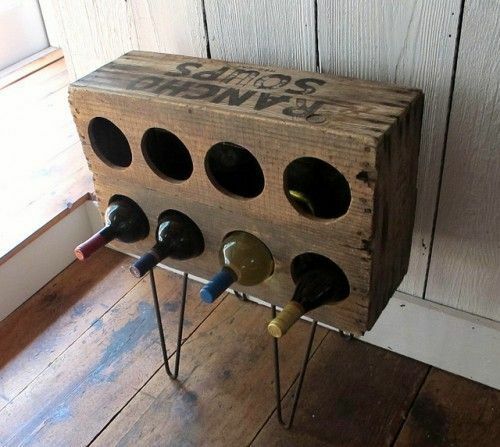 Nowadays, you can buy wine racks to store the bottles, but you can also make them by yourself. 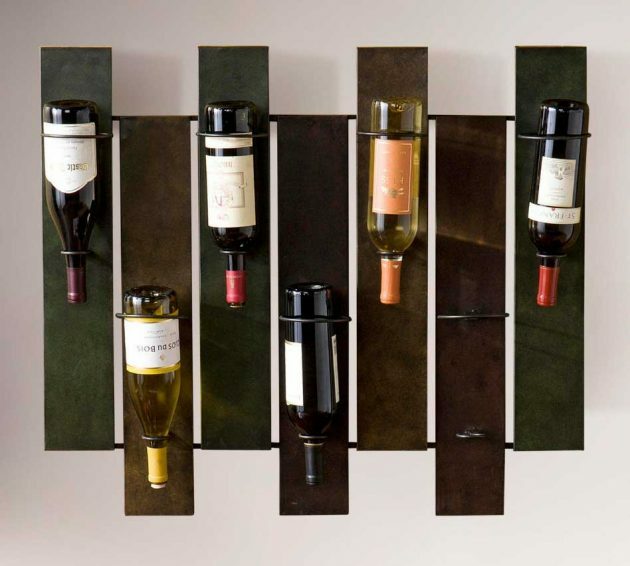 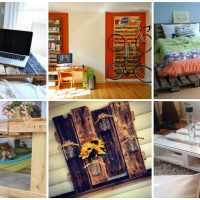 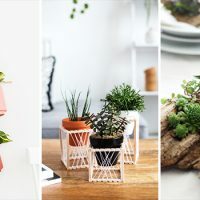 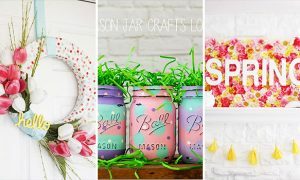 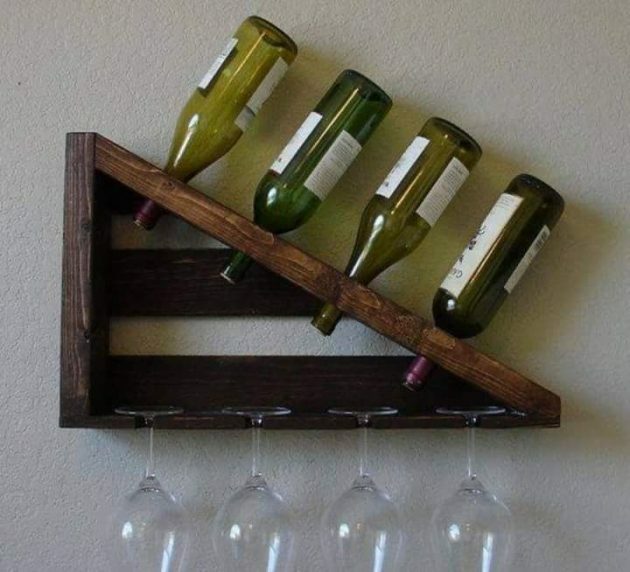 If you opt to make a wine rack by yourself, it’s a chance to show your creativity, and make interesting shelves for the wall that can be really interesting decorations. 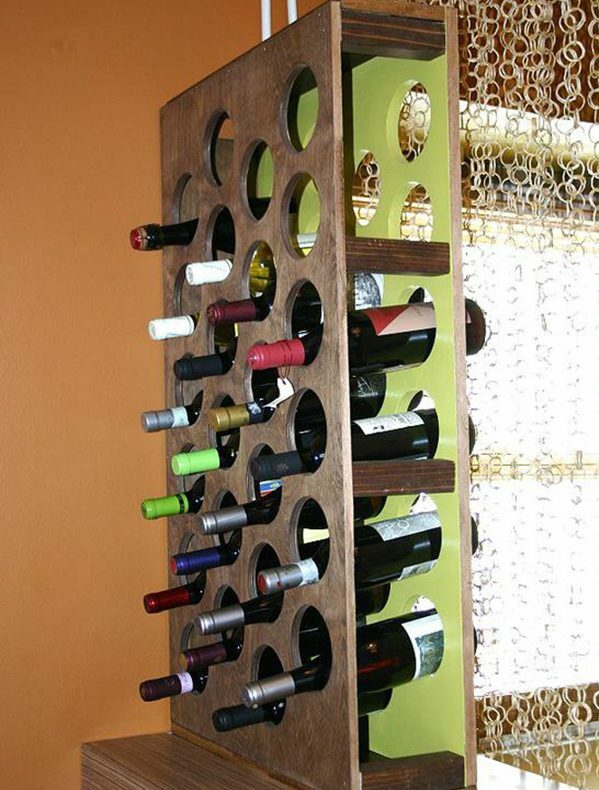 Wooden wine racks will give the room a special touch and comfort. 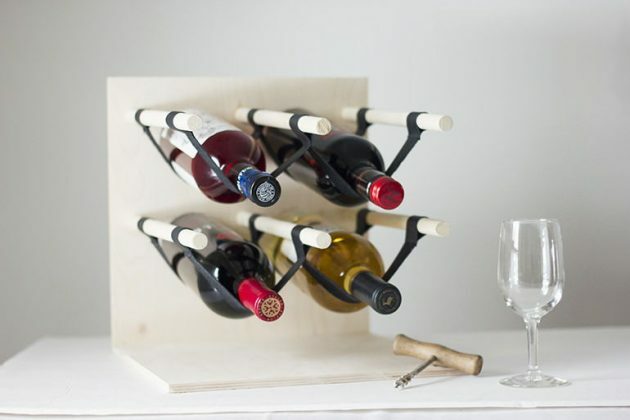 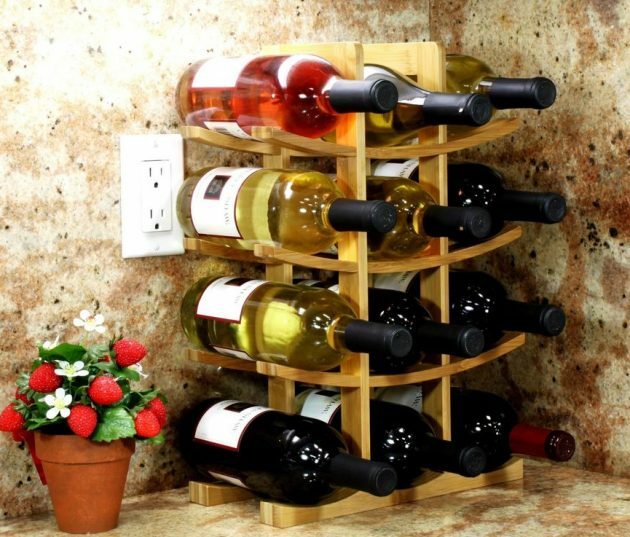 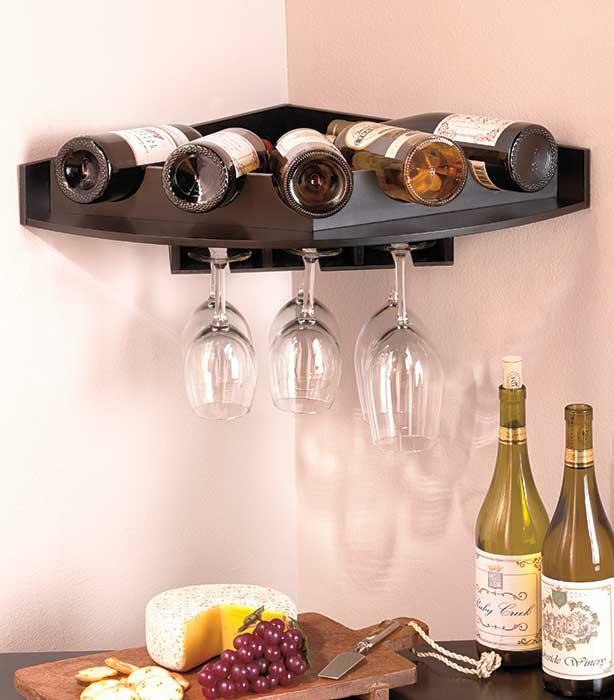 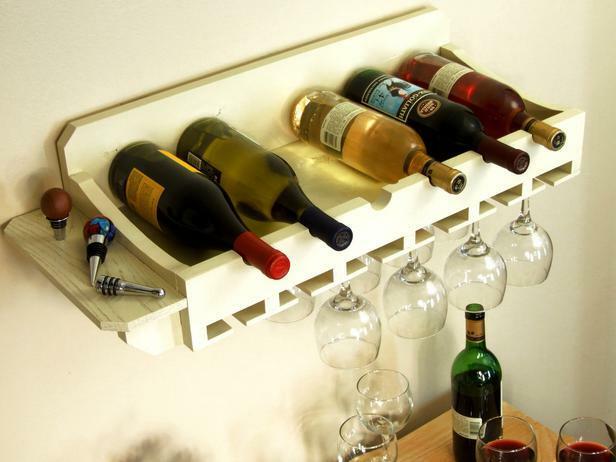 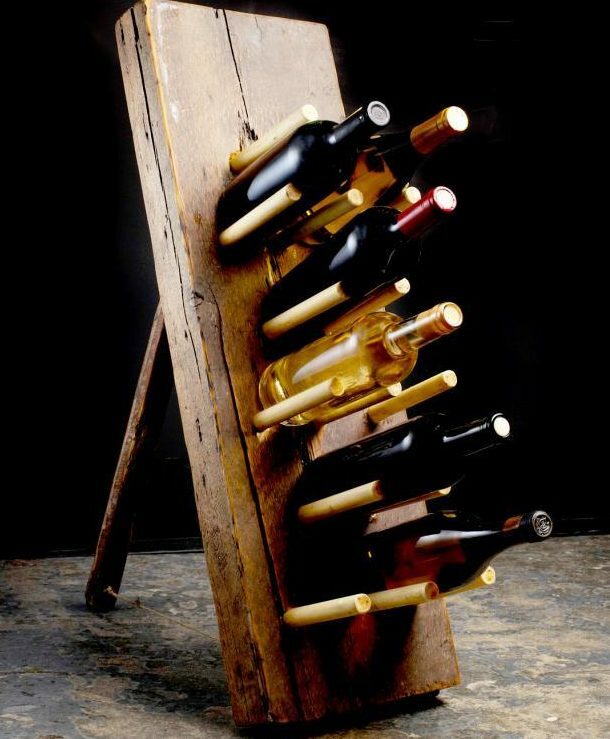 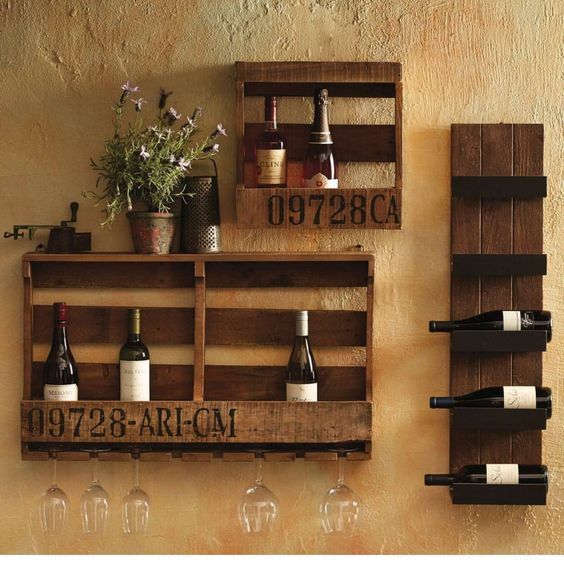 There are also many different kinds of wine racks that you can make by yourself, with just a little bit effort. 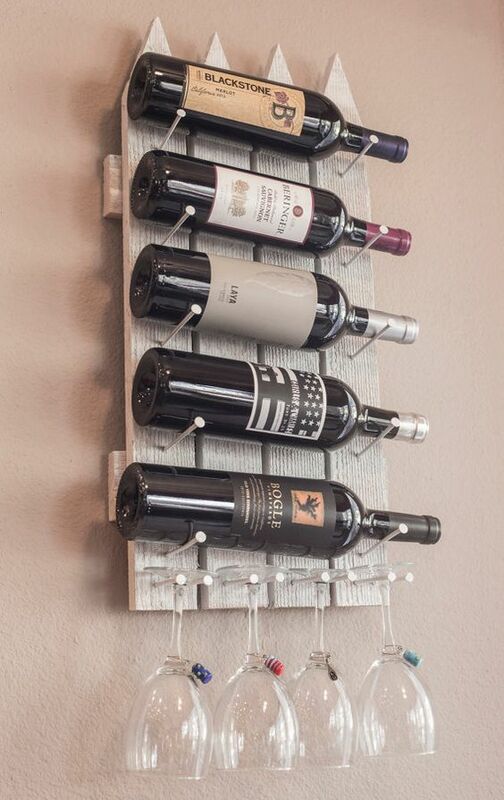 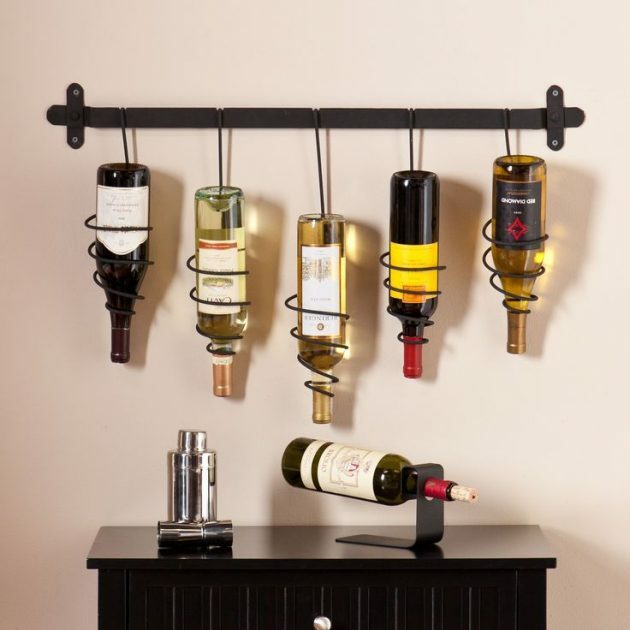 Take a look below, and you will find many creative examples that will inspire you to make by yourself your own unique wine rack! 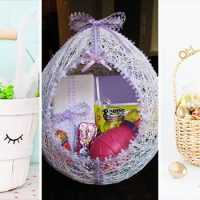 Have fun and be productive!